Discussion in 'Community Center' started by Rose and Thistle Custom, Apr 15, 2019 at 1:23 AM. My firemouths just layed a bunch of eggs and as a B-day present I'm getting set up for a small planted tank. Would love to see people's tanks and hear about your setups. 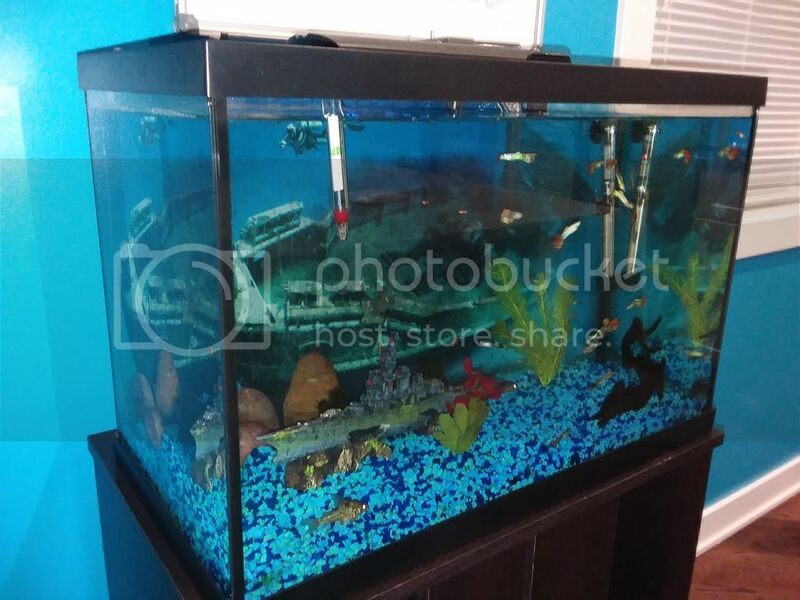 I have a 20 gallon tank with fancy guppies and couple of pepperd catfish . This was one of my hobbies for many years. A highlight of my childhood was caring for my next door neighbor’s (a breeder) fish while he was on vacation. His entire basement was filled with tanks, fresh and salt water.